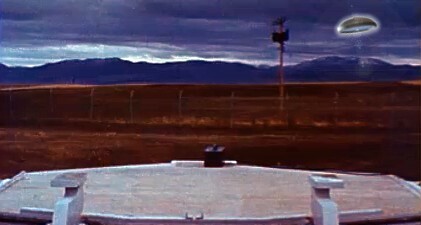 In March 1967, strange aerial objects suddenly began to visit a number of Malmstrom AFB’s ICBM sites. Or so the reports from the field claimed. At the time, my father, SMSgt. Robert E. Hastings, was stationed at the base, working in the SAGE building and holding the position of Supply NCOIC, Special Weapons Branch, 28th Air Division. According to his contacts, the mysterious craft were repeatedly tracked on radar as they maneuvered near and hovered over the Minuteman sites, then unsuccessfully pursued by jet fighters. Later on, unconfirmed rumors swirled about the UFOs having actually shut down some of the missiles. Fast forward to April 2016, when I released my documentary, UFOs and Nukes: The Secret Link Revealed, at Vimeo On Demand. The film is the culmination of 43 years of rigorous investigation, utilizing declassified documents and the testimony of more than 150 military veterans—including several AAFM members—some of whom say on-camera that UFOs have regularly monitored and, yes, sometimes even shut down our nuclear missiles. Or temporarily activated those ICBMs. Or hovered over Weapons Storage Areas. Some of these on-the-record statements were also boldly expressed at my September 27, 2010 press conference in Washington D.C., which CNN streamed live. (View the entire event at www.ufohastings.com.) Former Captain Robert Salas spoke of a disc-shaped craft that hovered over the Malmstrom Oscar Flight front gate on March 24, 1967, moments before all ten of his birds dropped off alert. A second former officer, Captain Robert Jamison, said that his Combat Targeting Team had helped bring some of them back online, after being told by briefers at the MIMS hangar that a UFO had indeed caused the malfunctions. A third press conference participant, retired Lt. Col. Dwynne Arneson—who was OIC at the 28th Air Division’s Communications Center 1967—related reading a TWX, which said in no uncertain terms, that several of Malmstrom’s missiles had mysteriously failed just as a disc was sighted hovering nearby. Researchers can now point to testimony from former launch officers regarding full-flight shutdowns at both Oscar and Echo flights during that time-frame. Arneson was unable to recall which one was mentioned in the telex. After my first article was published in this newsletter, in 2002, more than 30 AAFM members contacted me with information about one case or another. I am hoping that this one generates the same response. I may be emailed at ufohastings@aol.com. All statements made to me will be kept confidential unless I am granted permission to publish them. Those members not interested in watching my documentary film, or reading my 600-page book, UFOs and Nukes: Extraordinary Encounters at Nuclear Weapons Sites (www.ufohastings.com/book) should at least take the time to review some of the many declassified documents appearing at my website (www.ufohastings.com/documents) which confirm the reality of UFO activity at ICBM sites and other nuclear facilities. With all due respect to those AAFM members who think that I should not be discussing these things openly, I believe that the American public has a right to know the facts.